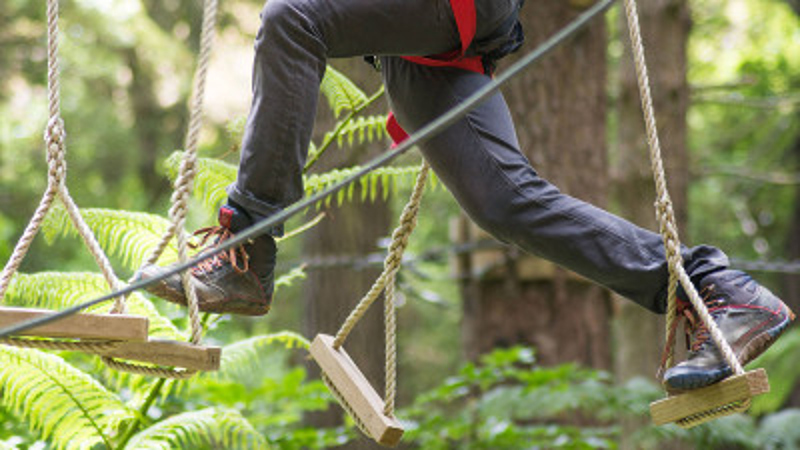 High wire challenges, like any outdoor adventure activity, involve a level of risk which can’t be reduced to zero. We manage hazards to ensure the risks are kept to a very minimal level, with minor consequences when incidents happen. Our safety systems are regularly and thoroughly reviewed for efficiency and compliance, and we strive to implement safety procedures in line with the current best industry practice. Safety inspections are carried out by independent experts every year. The courses are checked every day by the staff before opening. Personal Protective Equipments and fall-arrest systems are checked before each use. Download our current OutdoorsMark Safety Audit Certificate here.